Entry is free, and you may even be treated to a tea/coffee and a slice of cake if you're lucky! 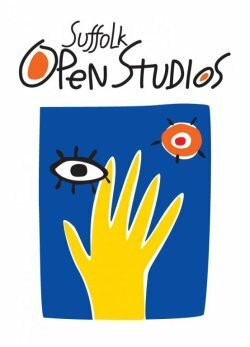 This is my third year as part of Suffolk Open Studios; throughout June there will be around 110 artists and makers around the county as part of Suffolk Open Studios - opening their doors to the public at weekends, so you can have a look behind the scenes and see them in action. Luckily enough for me, my new studio is in the garden of our house, so head to 41 Conway Close (the house with the red door) and make your way to the studio via the side gate (again red). Come straight in or ring the doorbell; either way, you're welcome inside.